The importance of programming in today’s world cannot be underestimated. Much like language skills, coding skills need to inculcated among children at a young age in order for them to develop an understanding of the benefits and applications. Code Club World is a global non-profit which is doing just that through its network of coding clubs in schools worldwide. Code Club World is a global network of free volunteer-led after-school coding clubs for children aged 9-11. It is based on Code Club UK, which was co-founded by Clare Sutcliffe and Linda Sandvik in April 2012. Code club UK was born following the UK government’s ‘Digital Initiative’ to promote technology businesses and technology education. 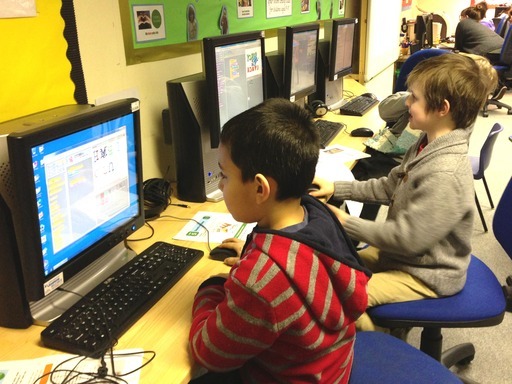 Code Club Hong Kong was started in December 2013 by David Greenwood. The Code Club team creates projects for volunteers to teach at after school coding clubs or at non-school venues such as libraries. The projects teach children how to program by showing them how to make computer games, animations and websites. The volunteers go to their local club for an hour a week and teach one project a week. They write a new set of projects every term. Each term the students will progress and learn more whilst at the same time using their imaginations and making creative projects. Terms 1 & 2 will use Scratch to teach the basics of programming. Term 3 will teach the basics of web development using HTML and CSS. Term 4 will teach Python and so on. The mission of Code Club Hong Kong is to give every child in Hong Kong the chance to learn to code. Code Club HK plans for the first clubs to be rolled out to a handful of schools towards the end of March. Their goal is to run sessions over the summer break too. They plan to ramp up activity for the following school year . Founder David Greenwood answers a few questions on their plans to make coding more popular among Hong Kong’s kids. Why do you think it is important to teach coding to kids? Programming improves analytical / logical thinking. Almost all jobs now have some technical element too – ever increasing demand for techies,” answers David on the ever-increasing role played by coding in the 21st century workplace. David: Currently ICT lessons in primary and secondary schools in HK mainly teach MS Office suite – essentially teaching children how to be secretaries. The government is now trying to stimulate tech biz / startups in the city. We hope we can use this to piggy back to bring the tech discussion towards education and pave the way for change to get computer science officially in the local curriculum. How is the club network structured? We are a non-profit. Clubs are free to run and volunteers receive no payment. Schools put themselves forward to hold a club and we match them to a volunteer. Clubs typically held after school. We are always looking for volunteers and schools. Nearly 50 volunteers signed up so far and 19 schools have signed up. We are speaking with the HK Government to increase school sign ups dramatically and we need a pool of volunteers across HK to support this. We accept donations from individuals and businesses that can see our mission. Backers for Code Club UK include (but not limited to), Google, Raspberry Pi, Samsung, Mozilla and the UK Government.